Yale University Press, 9780300075908, 240pp. In this provocative book, Edward Schiappa argues that rhetorical theory did not originate with the Sophists in the fifth century B.C.E, as is commonly believed, but came into being a century later. 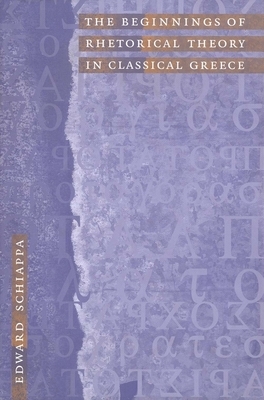 Schiappa examines closely the terminology of the Sophists—such as Gorgias and Protagoras—and of their reporters and opponents—especially Plato and Aristotle—and contends that the terms and problems that make up what we think of as rhetorical theory had not yet formed in the era of the early Sophists. His revision of rhetoric’s early history enables him to change the way we read both the Sophists and Aristotle and Plato. Schiappa contends, for example, that Plato probably coined the Greek word for rhetoric; that Gorgias is a “prose rhapsode” whose style does not deserve the criticism it has received; that Isocrates deliberately never uses the Greek work for "rhetoric" and that our habit of pitting him versus Plato as “rhetoric versus philosophy” is problematic; and that Aristotle "disciplined" the genre of epideictic in a way that robs the genre of its political importance. His book will be of great interest to students of classics, communications, philosophy, and rhetoric.